Priya of Cook like Priya is one of the friends I got to meet through baking group..She is a lovely gal with a cute space where she has a variety of recipes.. 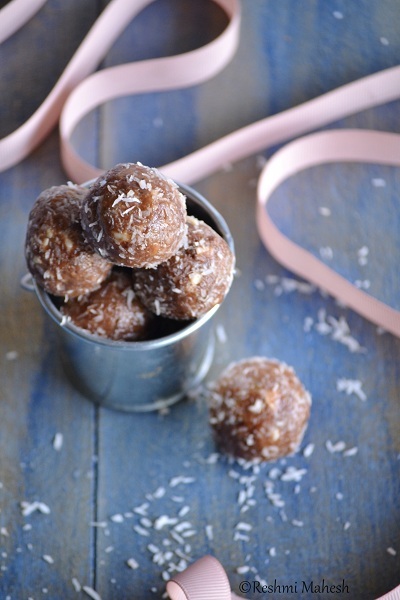 When Priya contacted me for the guest post in her space as she is totally busy with her shifting...I agreed to help her...Since this is the first guest post in her space I thought of making a sweet...A simple and healthy preparation to indulge in..
thats a lovely pic of the laddoos. I am loving it :-) thanks to you for all the efforts and making this post beautiful. delicious...super tempting . Join me in Fast Food Event - Pasta and Know your Sweetness- honey event in my blog. Nice. I am sure I would enjoy them. 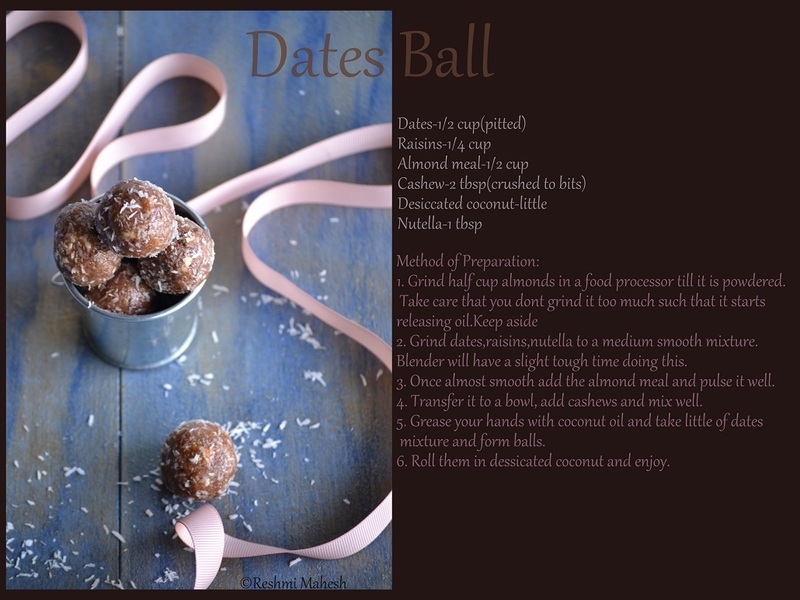 Dates balls looks super tempting and healthy. Looks like a very rich dessert. I love dates and desserts with dates in it.